I had tried to get to the Volo Auto Museum once before a few years ago, but the logistics simply did not work out. In that instance, just like in this one, I was in Chicago and the Volo Museum is about an hour north west of the city. This time however I had access to transportation which made all the difference. The museum specializes in American muscle cars, so I was not expecting to make a long visit. To call Volo a museum is to stretch the term a bit. Almost all of the cars on display are for sale, so it could be more accurately described as a classic car dealership. It also consists of multiple buildings which contain antique (and not so antique) stores for everything from Nintendo to vintage furniture. In this sense it can be more accurately described as an antiques fleamarket. It has an outdoor playground for kids with auto shaped climbing apparatus and slides, and it has an outdoor stage where small concerts could be held. It also has a full restaurant. In that sense, it could be considered an automotive-themed amusement park. However, in the eyes and minds of most visitors, the cars are certainly the stars. The cars are contained within four buildings along with a few covered outdoor areas. Those outdoor areas contain cars for sale that I presume would not fit in the buildings, and a military vehicle area which contained everything from a Willys Jeep to a Helicopter. But let's get back to the buildings.The middle of the buildings are generally filled with cars that are for sale. The perimeter of the buildings are generally filled with the cars that contribute to the word museum. There is a major emphasis on cars associated with Blockbuster Hollywood films. The cat in the hat, the Batmobile from the television series in the 1960s, the Scooby Doo mystery machine van, the flintstone car, etc. Most of the cars are in some kind of a diarama along with other props or memorabilia from the movie. Most are signed by the actors, or creators of the car including George Barris. And who can ignore the novelty cars such as the James Dean tribute, the roller skate car, and the Johnny Cash Guitar Dragster. As the slide shows illustrate, there was a lot to take in. In the second and third building, the perimeter continues the Hollywood theme with the Miami Vice Ferrari, a bullet-riddled hearse from the Terminator, Kitt from the Knightrider tv series, Mad Max, the Blues Brother cop car, Ghostbusters Ambulance, the Mustang from Gone in 60 Seconds, Dukes of Hazard, etc. All are authentic movie cars. In many cases, it is amazing how simple the modifications to the car were since they only had to look good in fleeting camera shots from afar. The fourth building was dedicated to very early cars through the postwar period. It Included model Ts and As and Pierce Arrows and a brass era Cadillac, and one of the earliest Chevrolets. However, it also included a 60s Thunderbird, and a 70s Lincoln. It seems like Volo could use another building or two. That leaves us with the majority of the cars on display which were in the middle of all four buildings. If you were shopping for a muscle car, this would be the equivalent of dealer row. There was an impressive array of muscle cars from every brand. Mustangs and Thunderbirds were next to Pontiac GTO's and Oldsmobile 442s, and Camaros and Trans Ams. Dodge challengers and Chevy Novas sat beside Impalas and Super Bees. 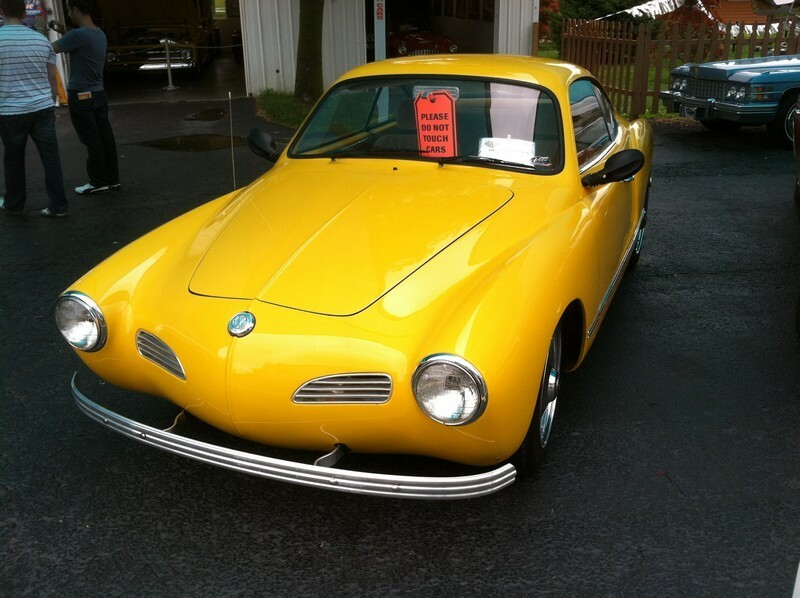 All were in good shape, with prices varying from the low teens to Barrett-Jackson territory. And then there were the cruisers like the Belair and the huge tailfin Cadillacs, and the Edsels. Even without having much knowledge about these cars, it was obvious that an impressive amount of sheetmetal was on display, including some rare pieces. Inbetween, there was a sprinkling of sports cars. They included a Jag XK120, Michael Andretti's March indy car, a Triumph TR8, a hotrod VW Karmann Ghia, a Sam Posey Indy car, a Healey, and the list goes on. All nice examples, and just about everything was for sale. In the end, you can call the Volo Auto Museum many things, but you have to call it entertaining.